Thanks to an indifferent media, much of the public still doesn’t know even the bare outlines of Gosnell’s “House of Horrors” in West Philadelphia. That same media, as you would expect, is choosing not to review “Gosnell: the trial of America’s Biggest Serial Killer” which is why word of mouth is so critically important. Gosnell murdered hundreds of viable unborn babies, according to the Grand Jury, but because he was studious about destroying records, he was ultimately convicted of “only” three murders of babies whom he deliberately delivered alive and then severed their spinal cords. At least two women also died–22-year-old Semika Shaw and 41-year-old Karnamaya Mongar. There was a settlement in one and a conviction and a settlement in the other. What about Mrs. Mongar? When the Philadelphia jury found Gosnell guilty of three counts of murder in the deaths of babies he killed after their live-birth abortions, they also found Gosnell guilty of involuntary manslaughter in the death of Karnamaya Mongar. Mongar, a 41-year-old immigrant from Nepal, was to undergo a dilation and evacuation abortion at Gosnell’s Women’s Medical Society abortion clinic November 19, 2009. She died after being administered a “lethal cocktail” of painkillers and sedatives by unqualified personnel. Gosnell was not present. 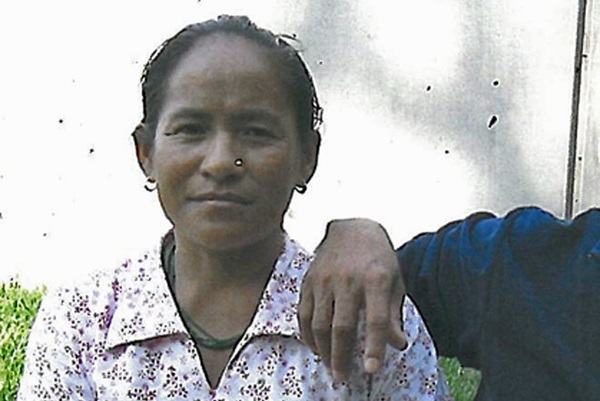 Back in 2015, Max Mitchell of The Legal Intelligencer reported that Philadelphia Court of Common Pleas Judge Jacqueline Allen awarded 3.9 million to Yashoda Devi Gurung, Mongar’s daughter, who is the administrator of her mother’s estate. “The award, against both Gosnell and the clinic, included $550,000 under the Wrongful Death Act, $100,000 under the Survival Act and $3.25 million in punitive damages,” Mitchell reported. During the course of Gosnell’s trial, evidence was introduced that he had made many millions, primarily off of late abortions performed on women of color at night and prescription drugs he’d illegal prescribed during the day. The complaint said medical records noted Mongar’s condition as good, but emergency medical services were called shortly after 11 p.m., and Mongar was found unresponsive. She died the following day, according to the complaint. “The acts and omissions on the part of the defendants respectively were departures from the basic standard of care and were substantial factors in causing the physical and emotional harm suffered by Karnamaya Mongar leading to her severe injuries and ultimately her death,” the complaint said. In June 2014, Common Pleas Court Judge Benjamin Lerner sentenced Williams to five to 10 years on her guilty plea to two counts of third-degree murder. The first was Mrs. Mongar. The other was a baby who was aborted, was born alive, whom Williams killed using the technique Gosnell used to murder hundreds of viable babies (according to the Philadelphia Grand Jury): plunging scissors into their spinal cords.